Available for Sale (cash or equity) or Joint Venture. 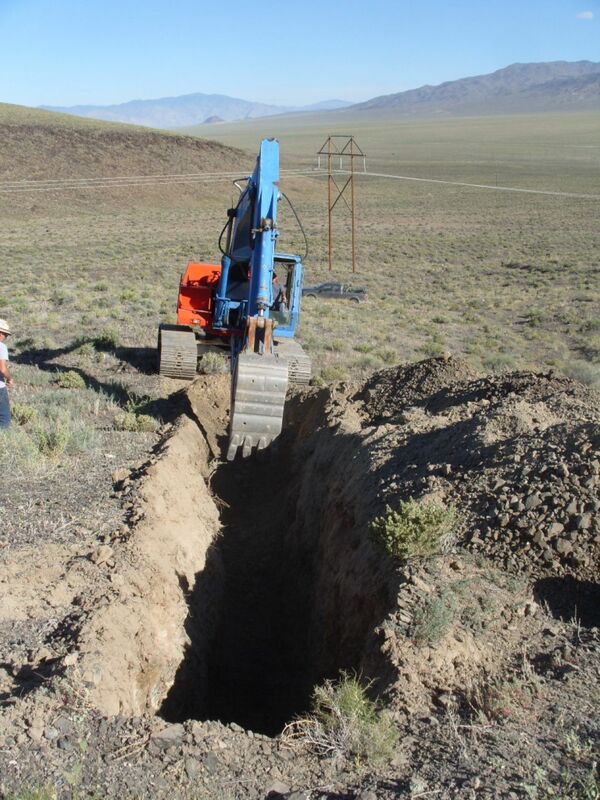 The Garfield Project is located approximately 10km east of town of Hawthorne in Mineral County, Nevada. Two trenches excavated in June 2016 tested beneath mineralised surface samples. 2 metres grading 2.18% copper and 0.48 g/t gold from 16m-18m. 2 metres grading 1.2 g/t gold and 0.07% copper from 8m-10m. The claims are located within the large Walker Lane mineral belt, a major fault zone running parallel to the Nevada-California border. 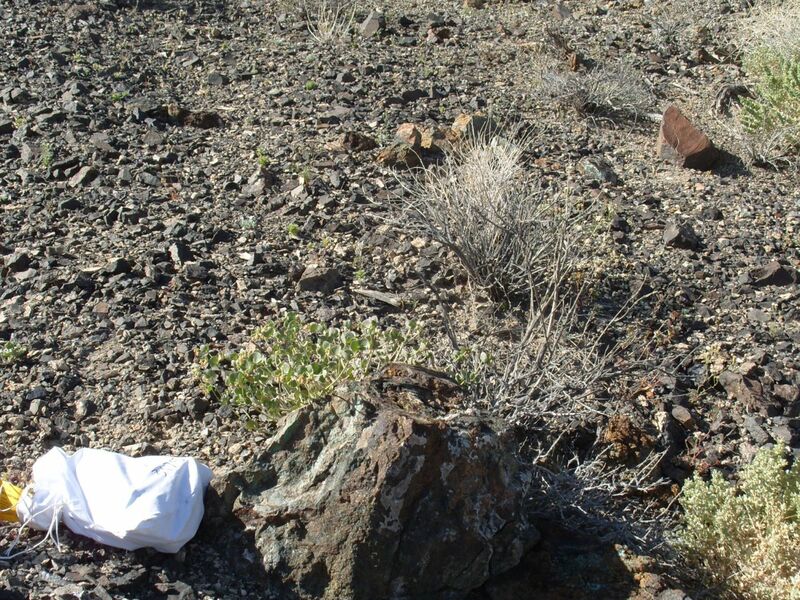 This mineral belt has been a prolific producer of gold and silver from epithermal deposits such as the famous deposits at Comstock and Tonopah. Over 50 million ounces of gold have been discovered so far in the Walker Lane belt. The Walker Lane belt also hosts a number of major porphyry and skarn type copper and molybdenum deposits (e.g. the famous Anaconda/Yerrington copper mine) and also large Iron-Oxide-Copper-Gold deposits such as the Pumpkin Hollow deposit (5.2 billion lbs of contained copper in reserves) under active development by Nevada Copper Corporation. 7 claims have been staked to cover a gossan discovered by the Company during regional reconnaissance that has returned high grades of gold, silver and copper (6% copper, 3.5g/t gold, 4 ounces/tonne silver). 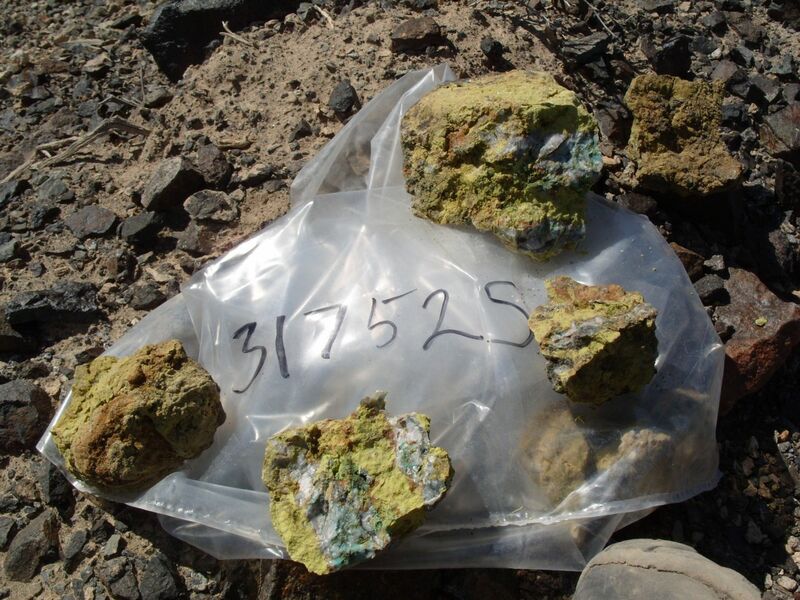 In 2015 the Company completed a small soil sampling programme which defined a discrete gold-copper anomaly in soils associated with the gossan discovery. 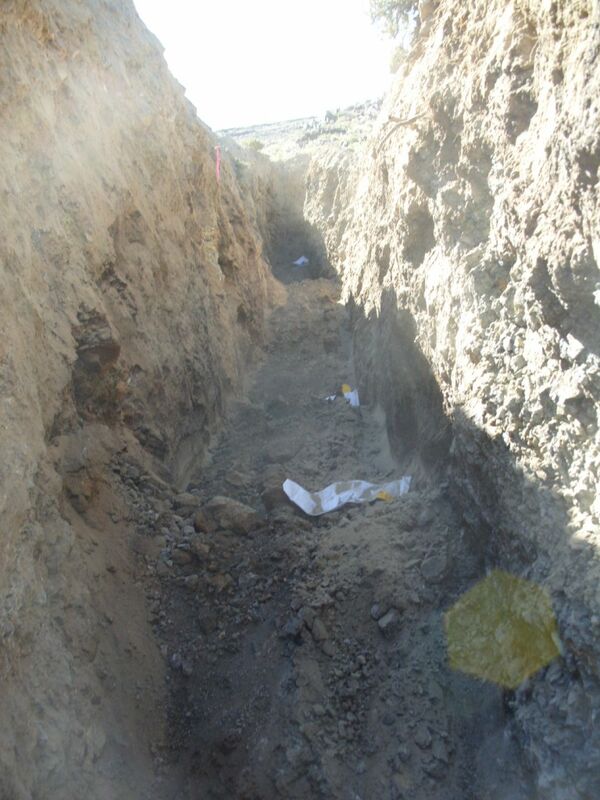 A preliminary trenching programme was carried out in June 2016 and was designed to expose bedrock immediately beneath overlying scree material. Trench 1 was completed for an overall length of 26m in a northwest-southeast direction centred beneath the surface occurrence. The bedrock exposed in Trench 1 comprised variably silicified limestone containing disseminated copper mineralisation largely in the form of the copper carbonate mineral, malachite, in association with jarosite (an iron/potassium sulphate mineral found in the oxidised zone of sulphide deposits). The exposed bedrock was sampled along the base of the trench with continuous chip and composite grab samples being taken at 2m intervals. The 22m interval from 4m to the end of the trench at 26m averaged 0.33% copper and contained a 2m interval grading 2.18% copper from 16m-18m. 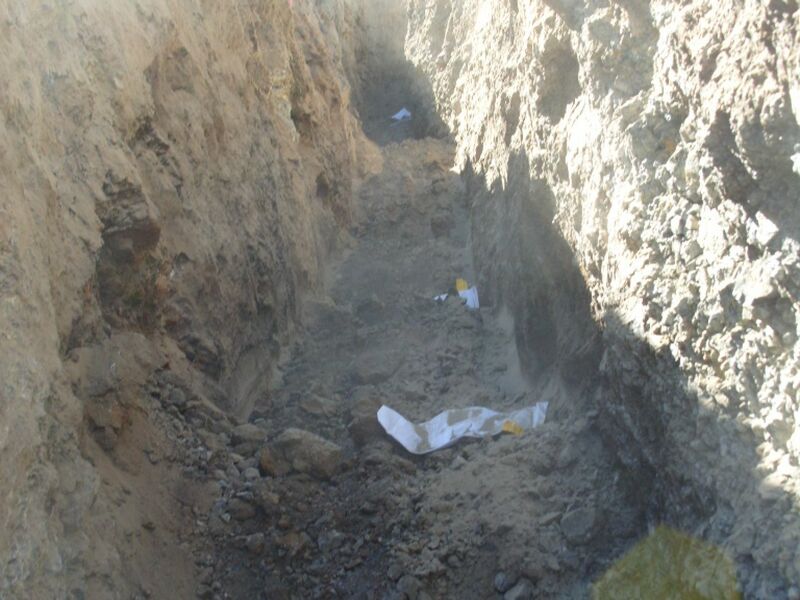 A 2m interval from 8m-10m along the trench assayed 1.22 grammes/tonne gold. The trench was orientated perpendicular to the interpreted strike of mineralisation but the true thicknesses of mineralisation is not yet known. 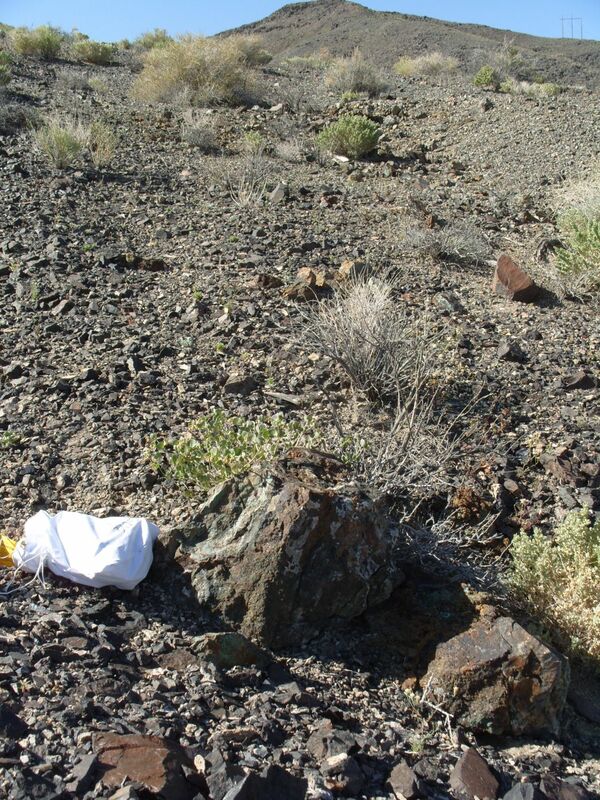 Significantly, copper mineralisation was continuing at the southeast end of the trench. 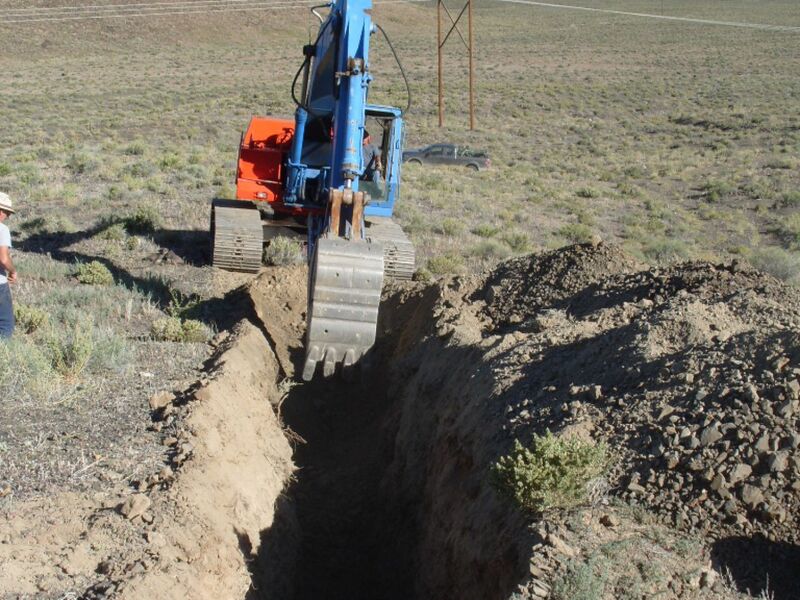 Trenching provides a low cost means of initial evaluation and the programme should now be extended to lengthen the existing trench and excavate parallel trenches.